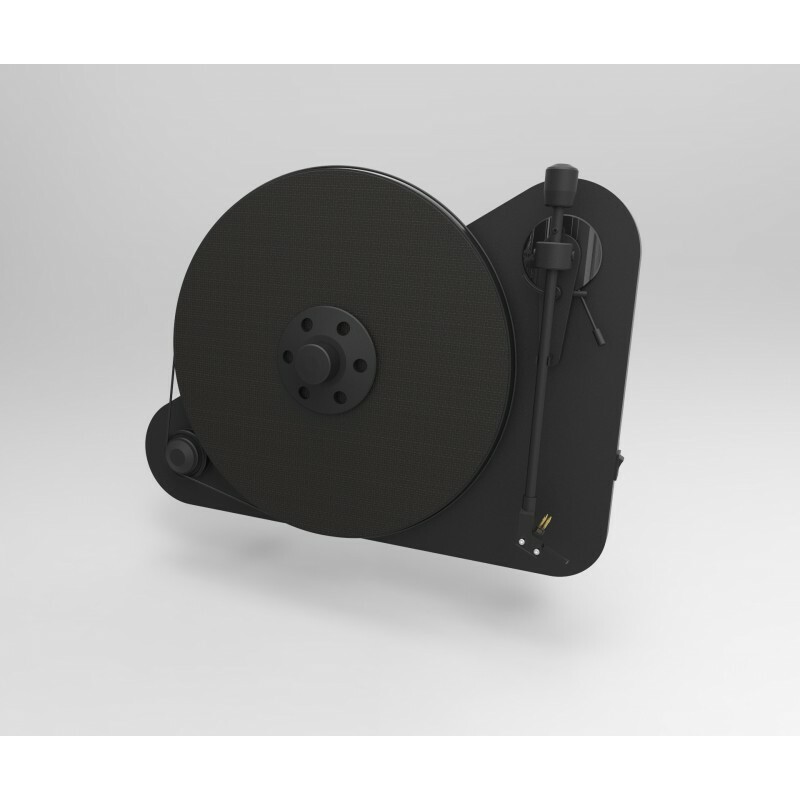 Pro-Ject has made our dream come true: the vertical turntable! 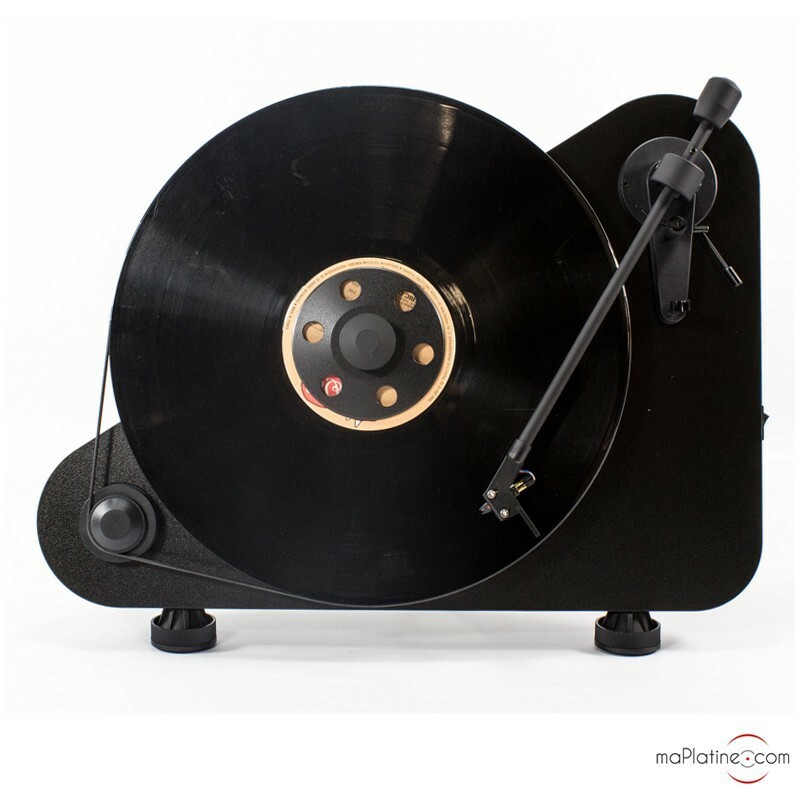 Actually, it is more of an engineer or designer's dream than a bona fide audiophile's dream… It is in fact not truly new and several brands tried this design in the 70's and 80's. 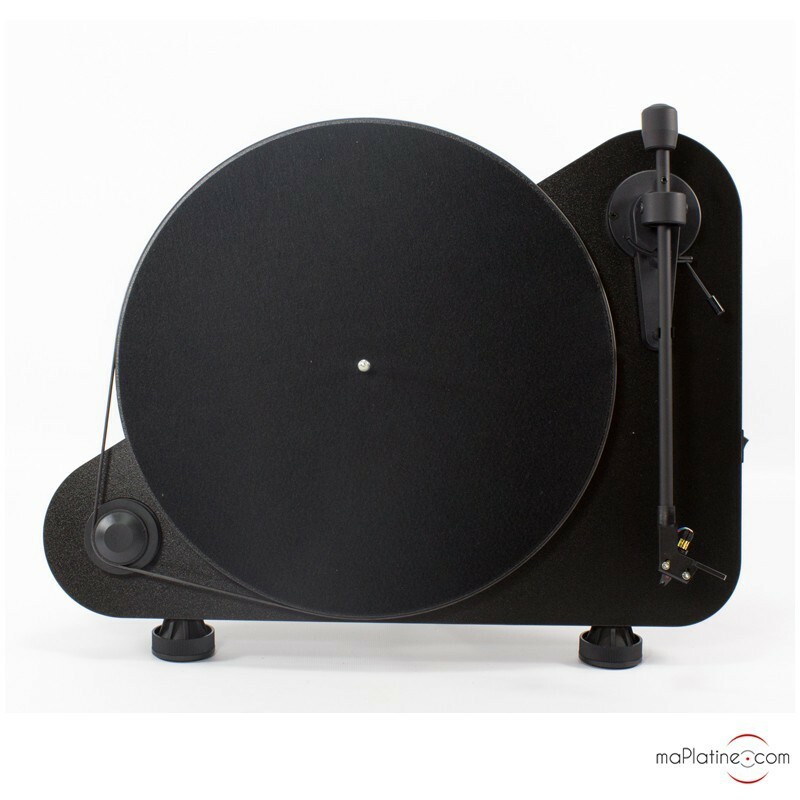 But generally speaking, those attempts turned out to be disappointing and very expensive… Pro-Ject has taken a completely different approach. 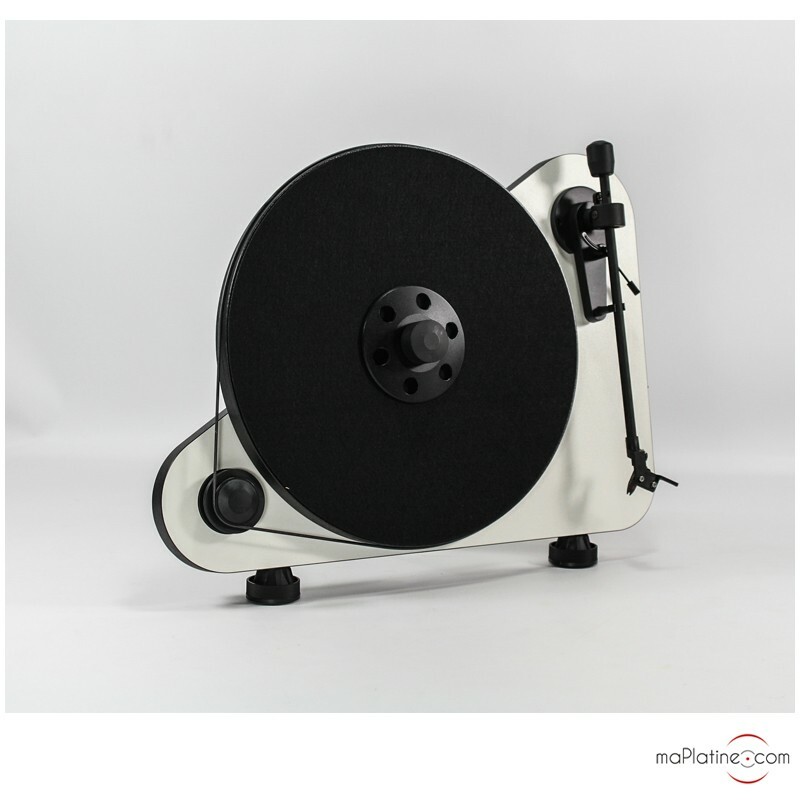 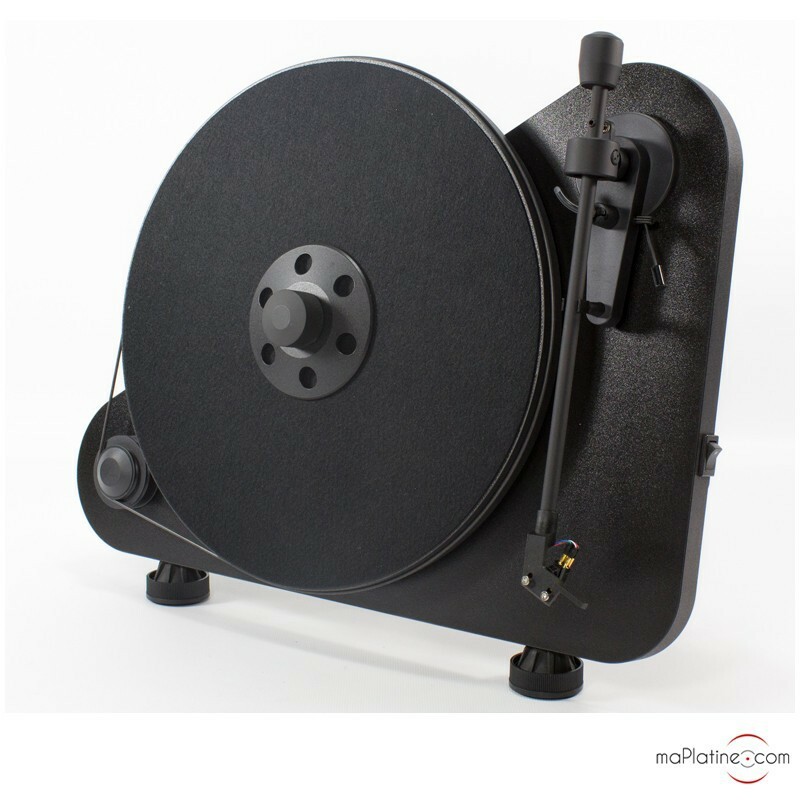 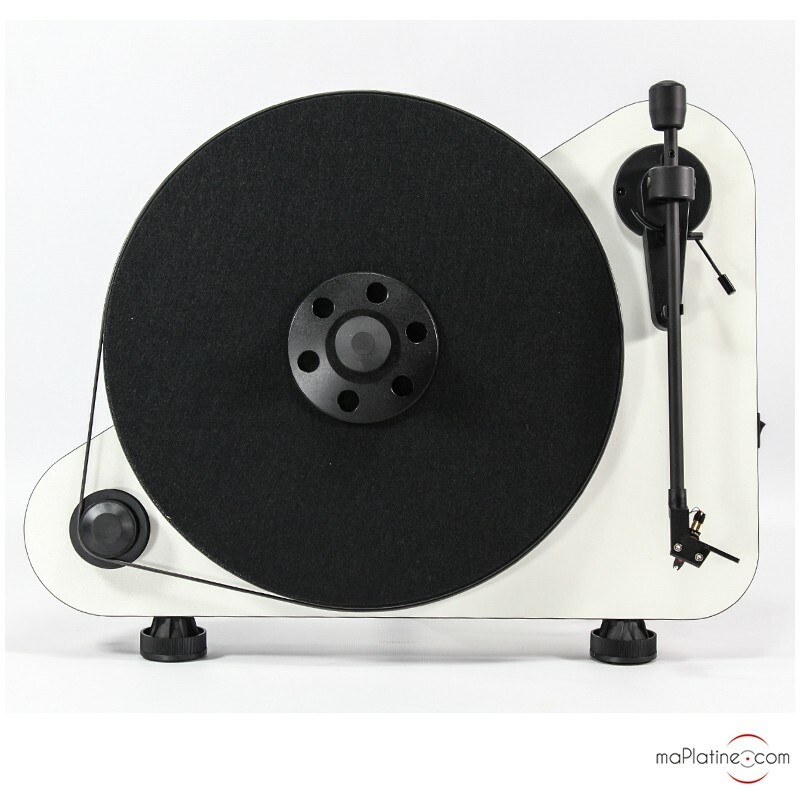 With the VTE (for Vertical Turntable), the Austrian manufacturer shows its desire to develop a good quality turntable with an exclusive design and operation for a very reasonable price. 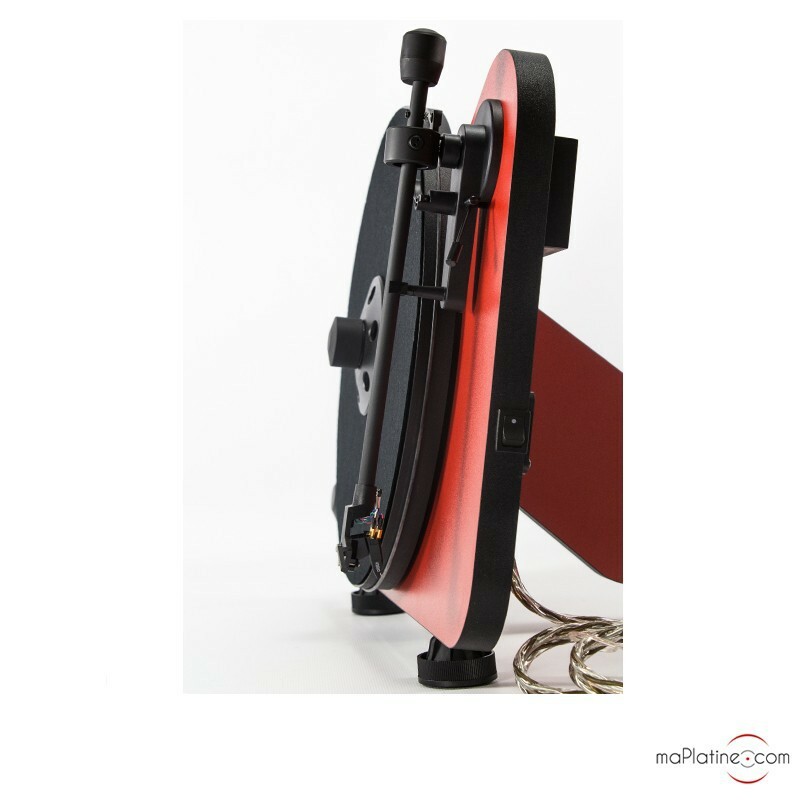 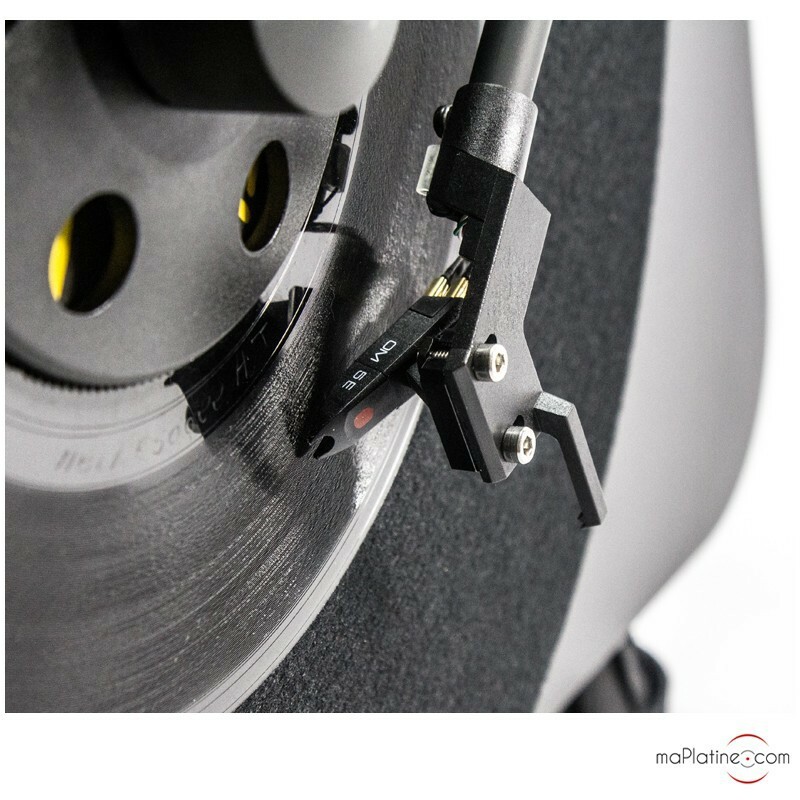 Technically speaking, the Pro-Ject VTE uses the manufacturer's well-tried features. 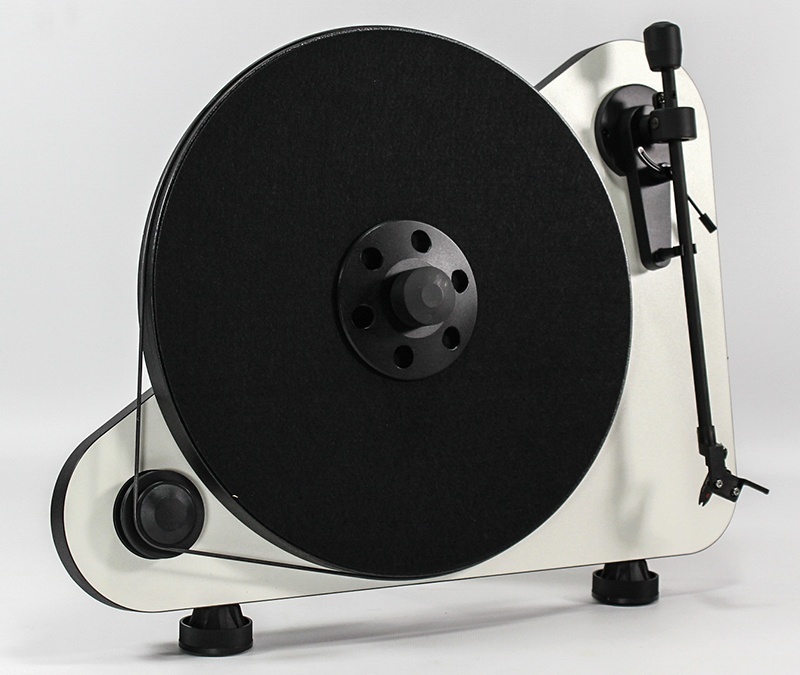 The motor is derived from Pro-Ject's Essential II turntable. 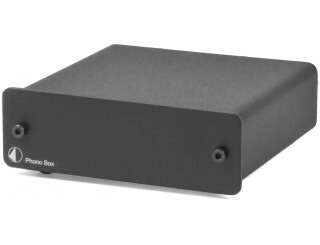 It also uses the same 15V 800 DC power supply. 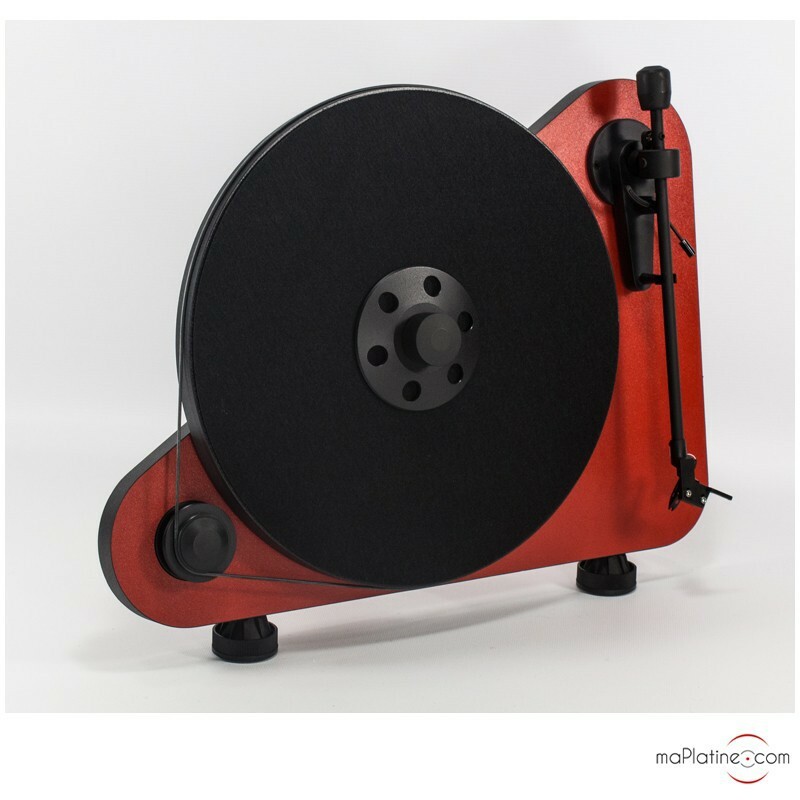 It has an MDF platter driven by a silicone belt that slips around its edge. 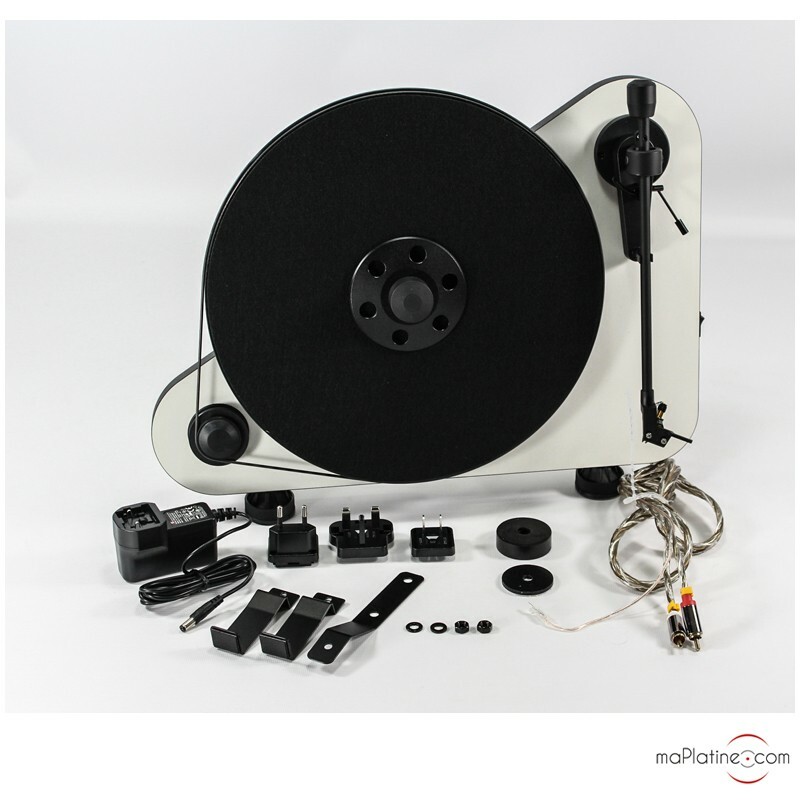 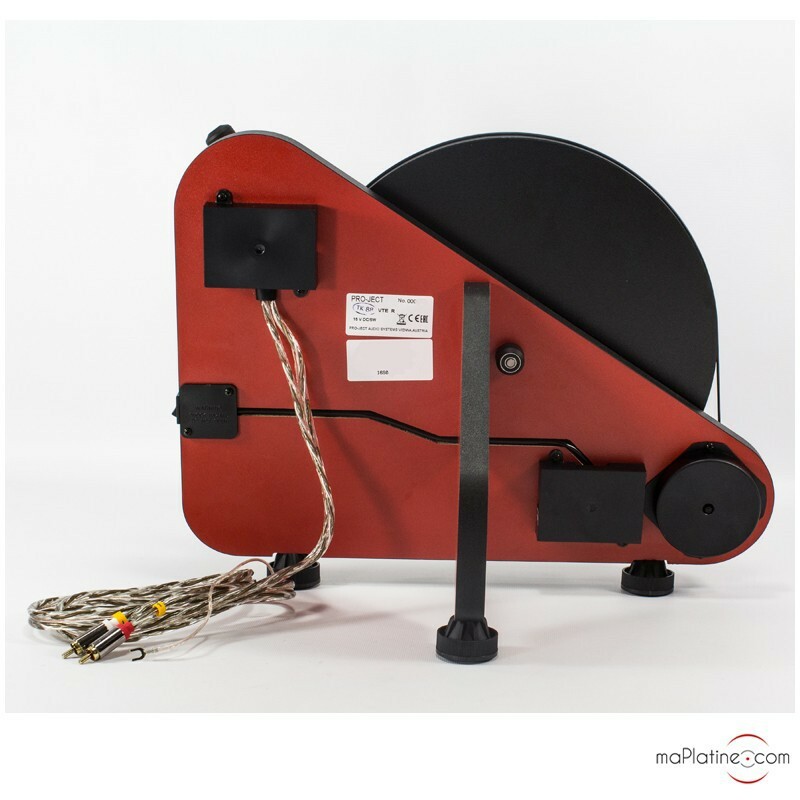 Playback speed (45 RPM) can be changed manually by moving the belt to the motor pulley. 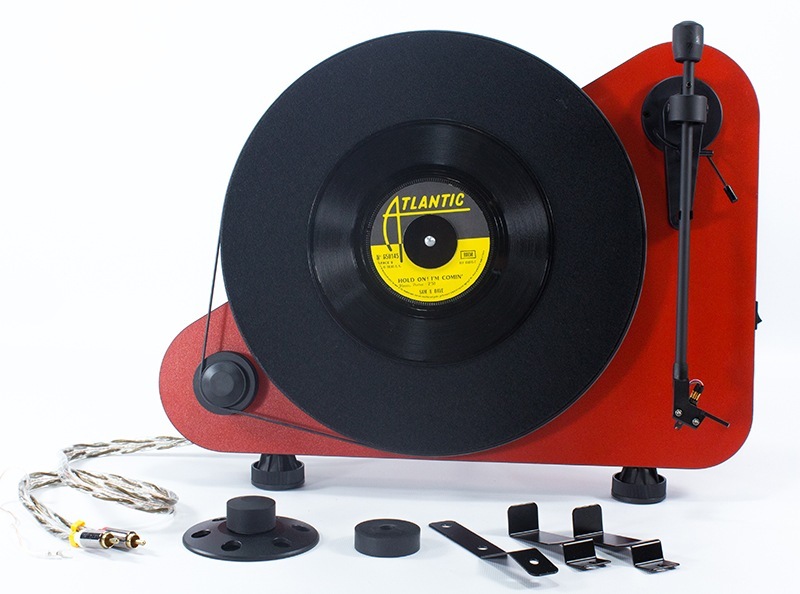 This vertical turntable comes in three finishes: red, black and white. 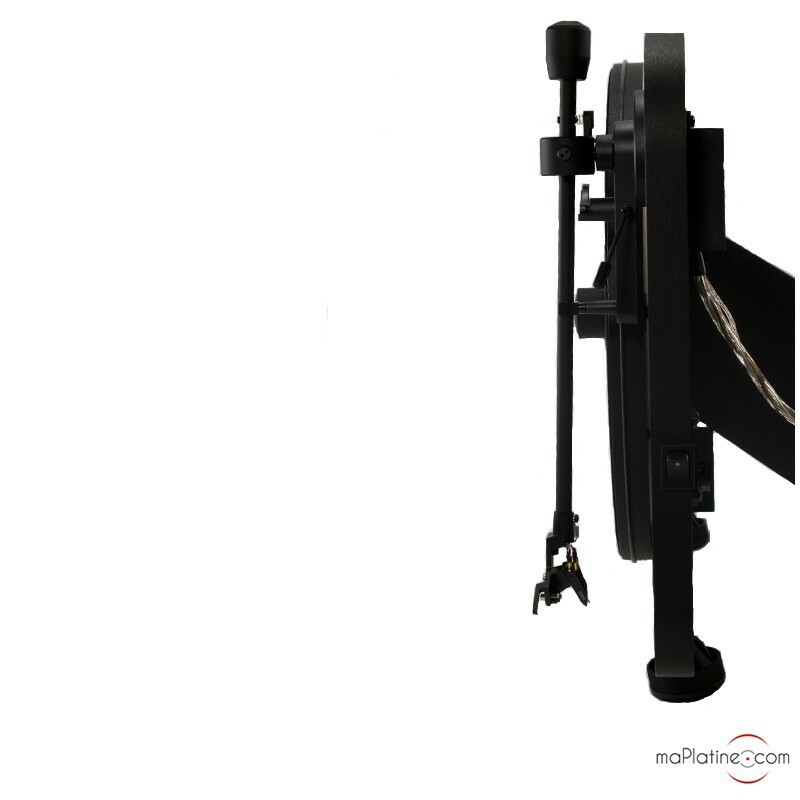 The tonearm is a 8.6 inch model that seems to be derived from Pro-Ject's Elemental model with a few twists. 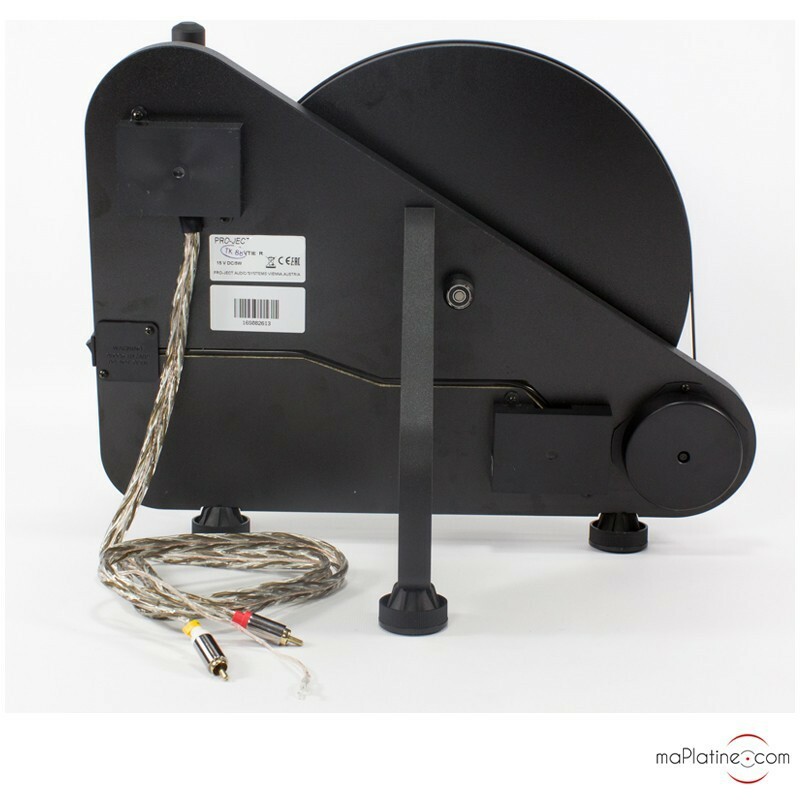 It features the aluminium tube with the ABS headshell. 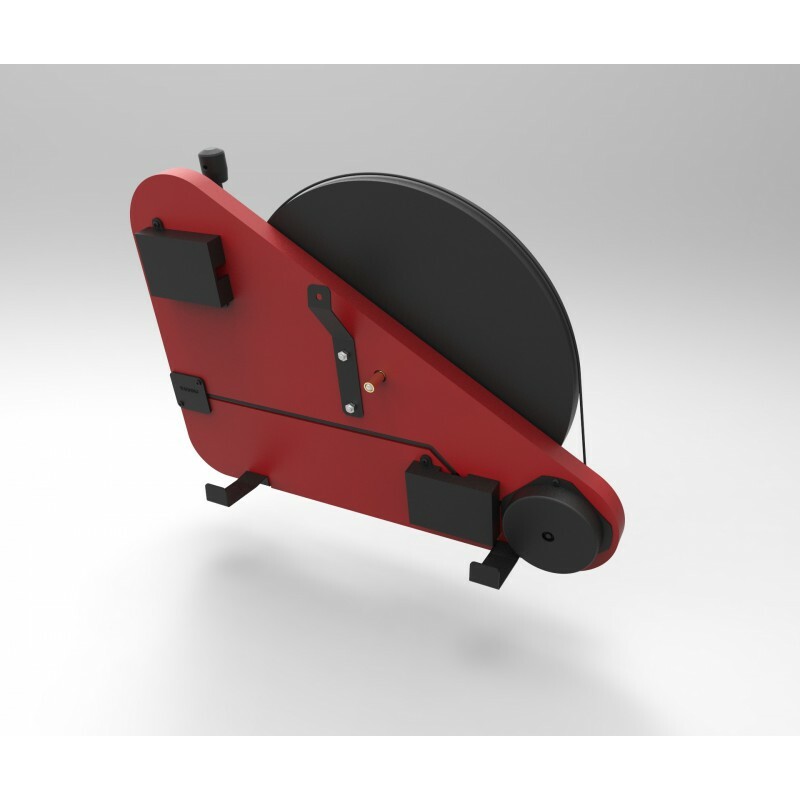 It does not use the anti-skate bias weight with thread for obvious reasons. 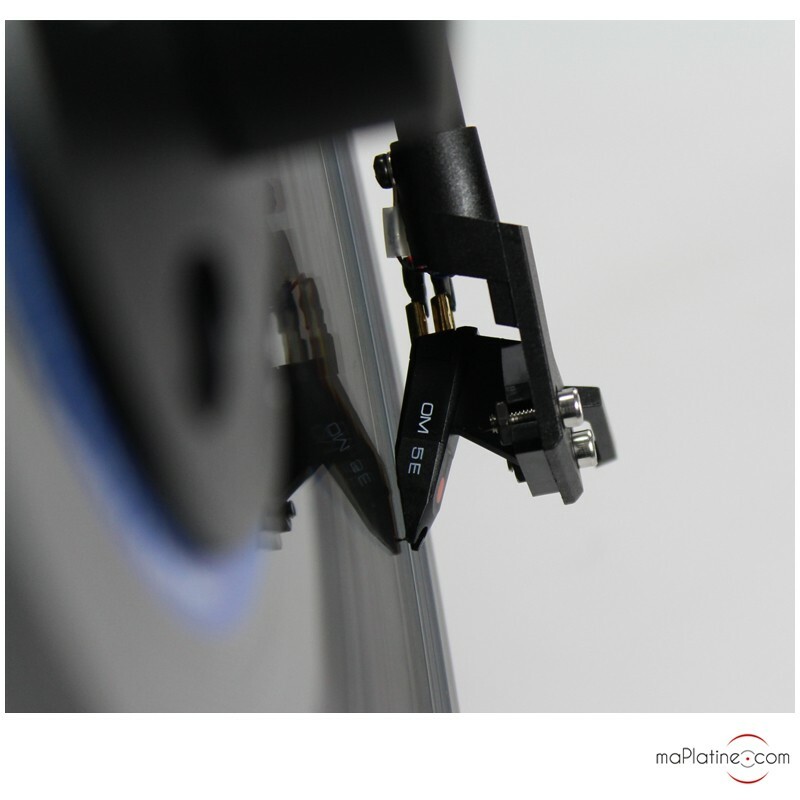 A special mechanism is added to the tonearm spindle to allow for vertical playback without any errors. 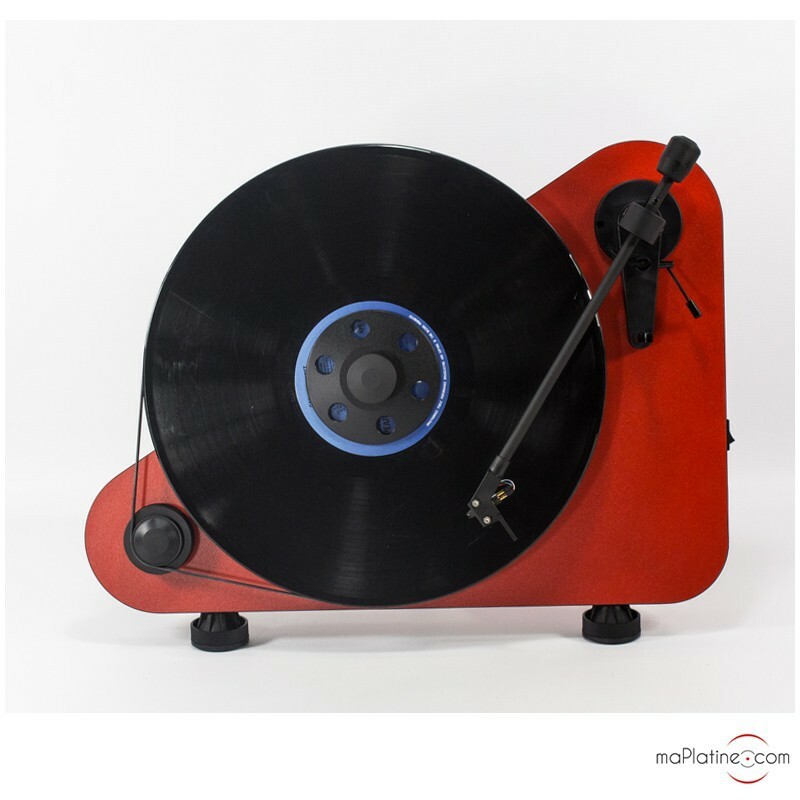 It comes with Ortofon's OM5e cartridge. 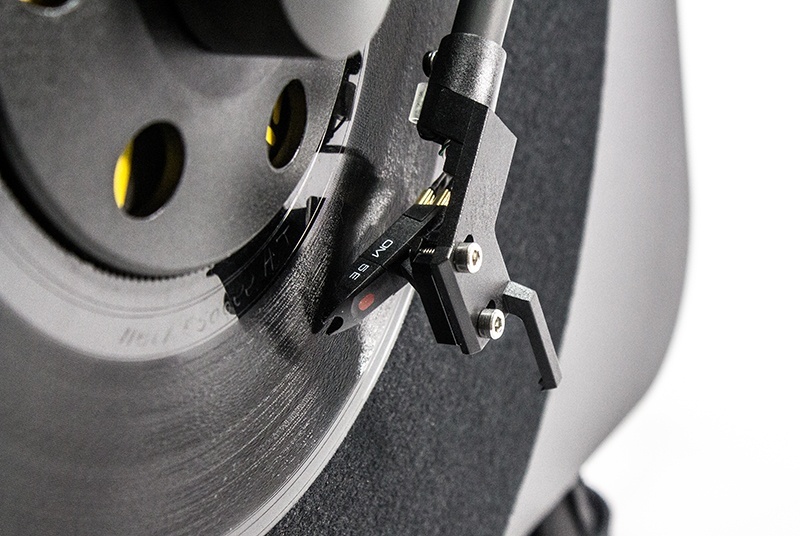 A special clamp is screwed to the central spindle to hold the record to the platter. 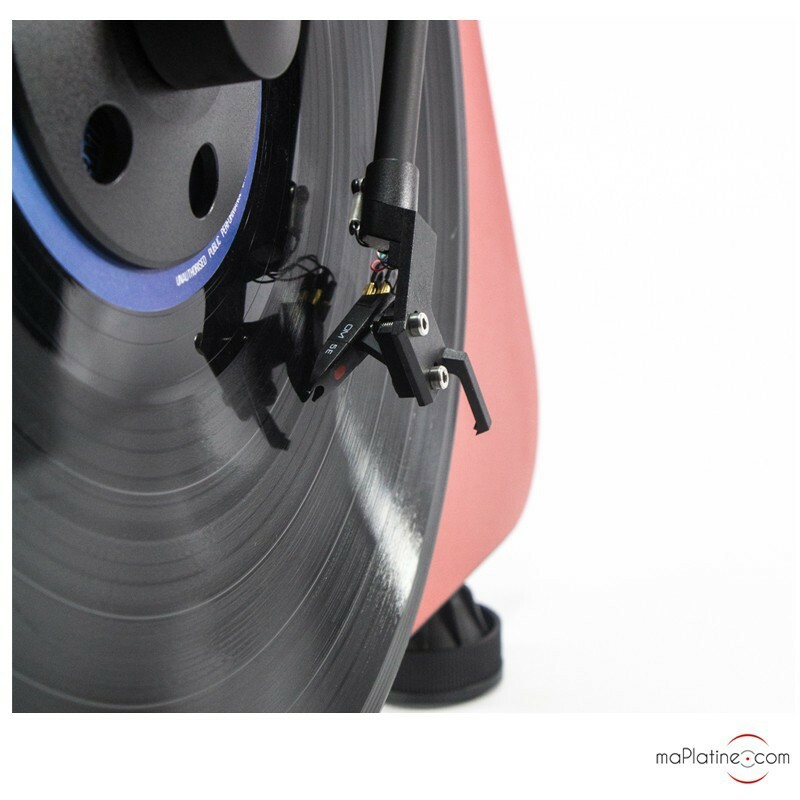 Not only does it secure the LP to the turntable, it also prevents it from slipping on the platter during playback. The phono cable is captive and of good quality, with gold-plated RCA connectors. 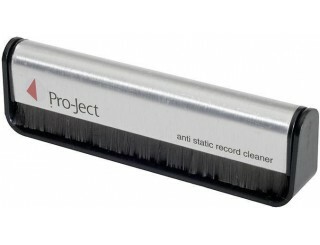 About playback, well, this Pro-Ject VTE is a good product despite the mechanical constraints it has to endure. 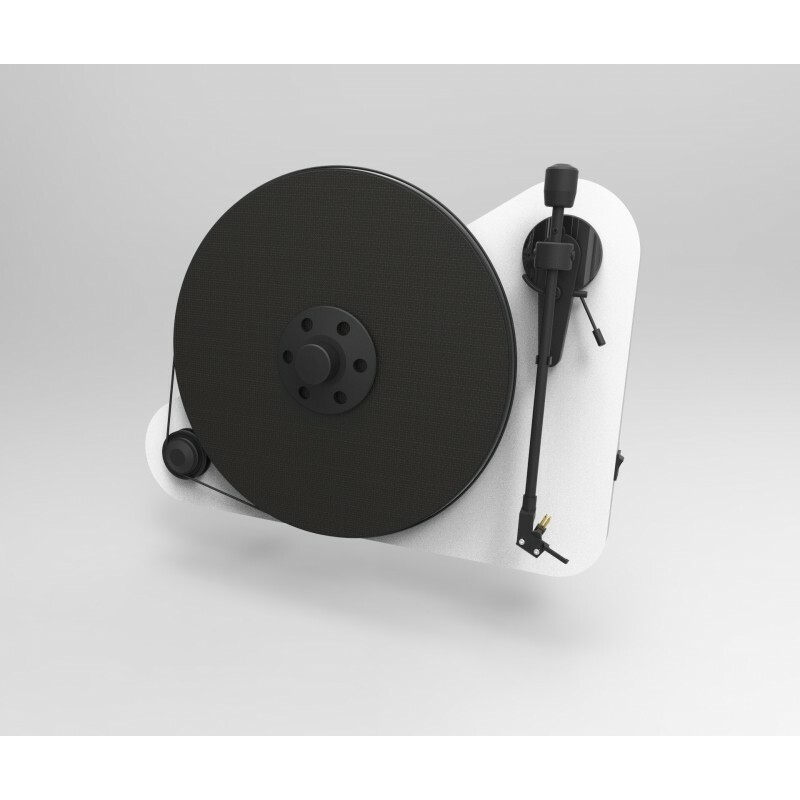 Pro-Ject's VTE vertical turntable can be used either on a cabinet or wall-mounted. 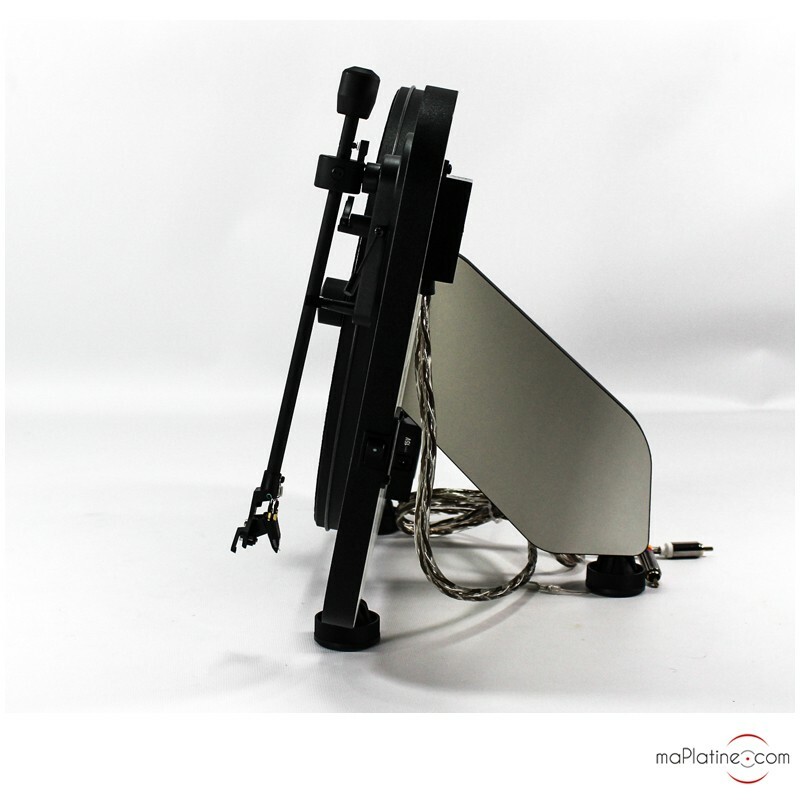 The wall mount kit is supplied as standard. 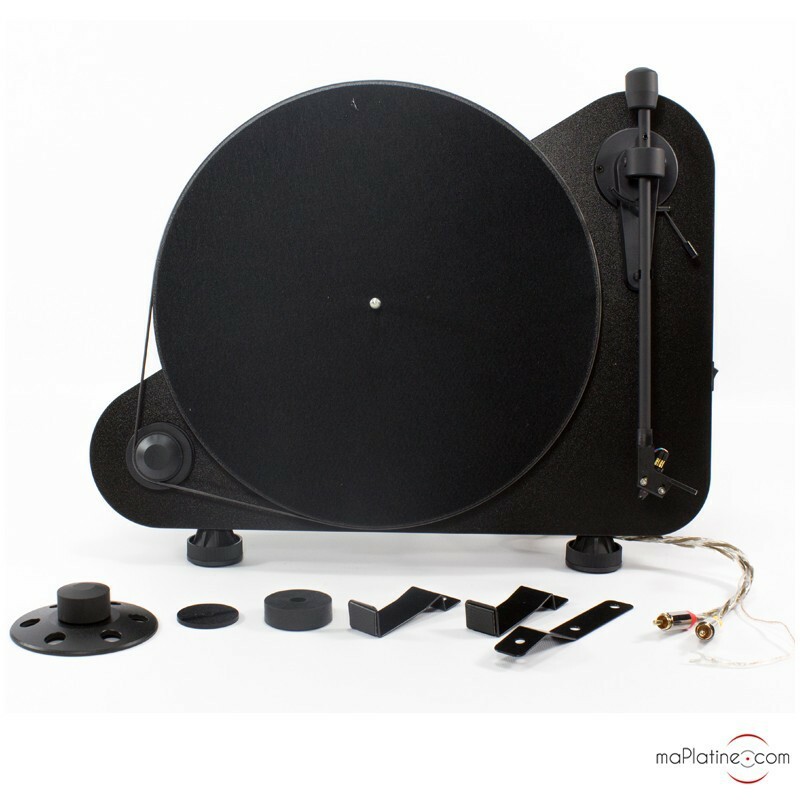 It is very easy and quick to set up. 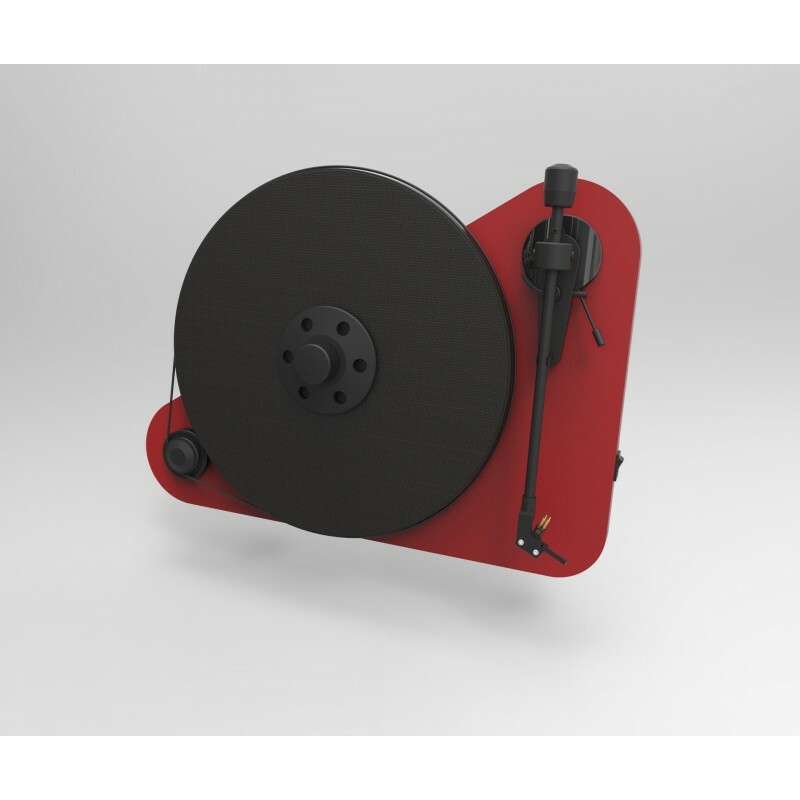 The tracking force and anti-skating are factory-set. 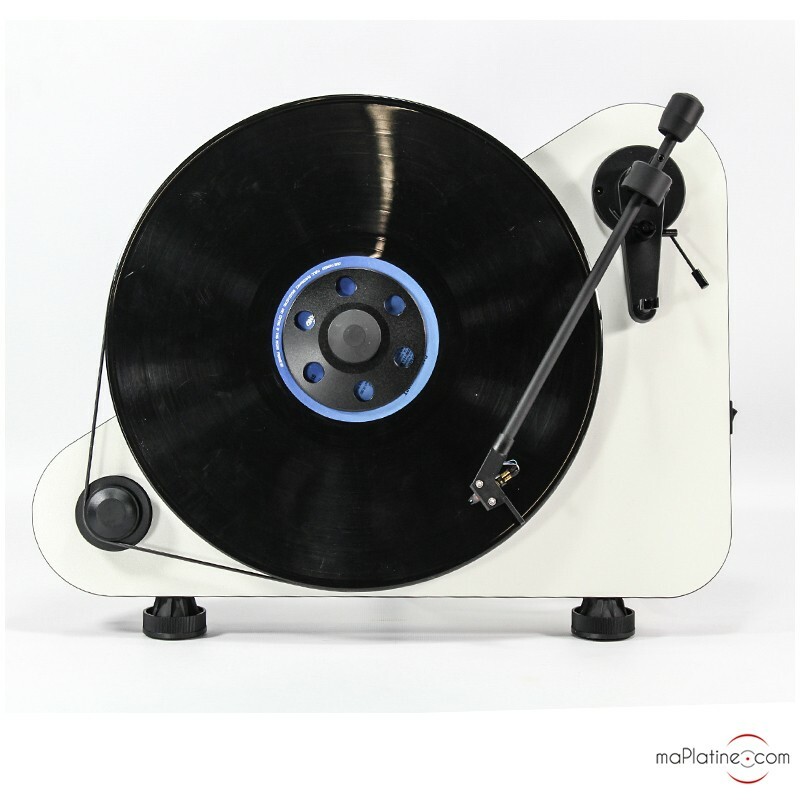 Pro-Ject's VTE is a success! 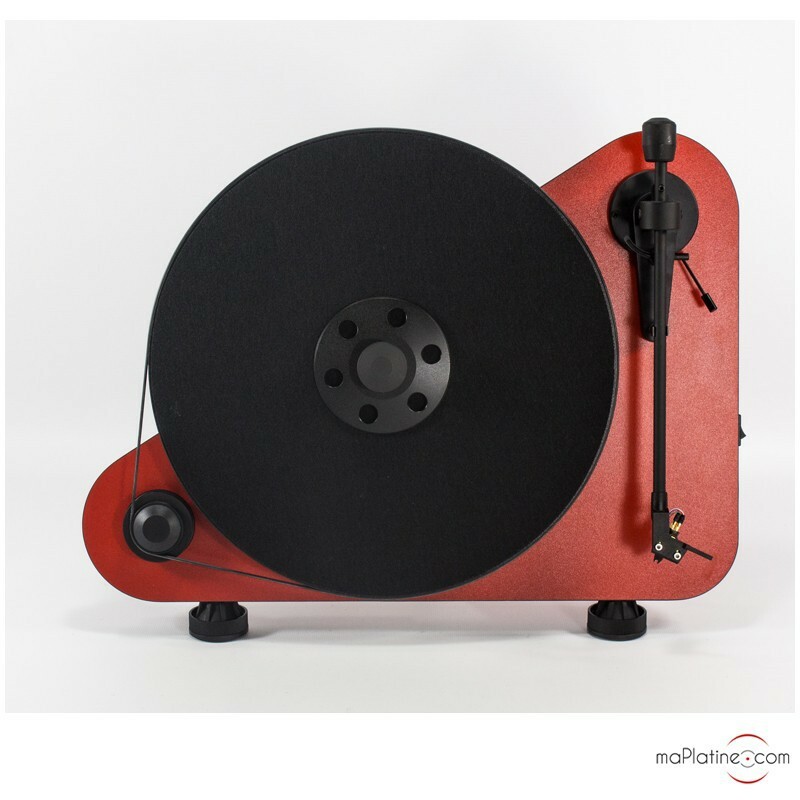 It brings design and sound quality together at a reasonable price. 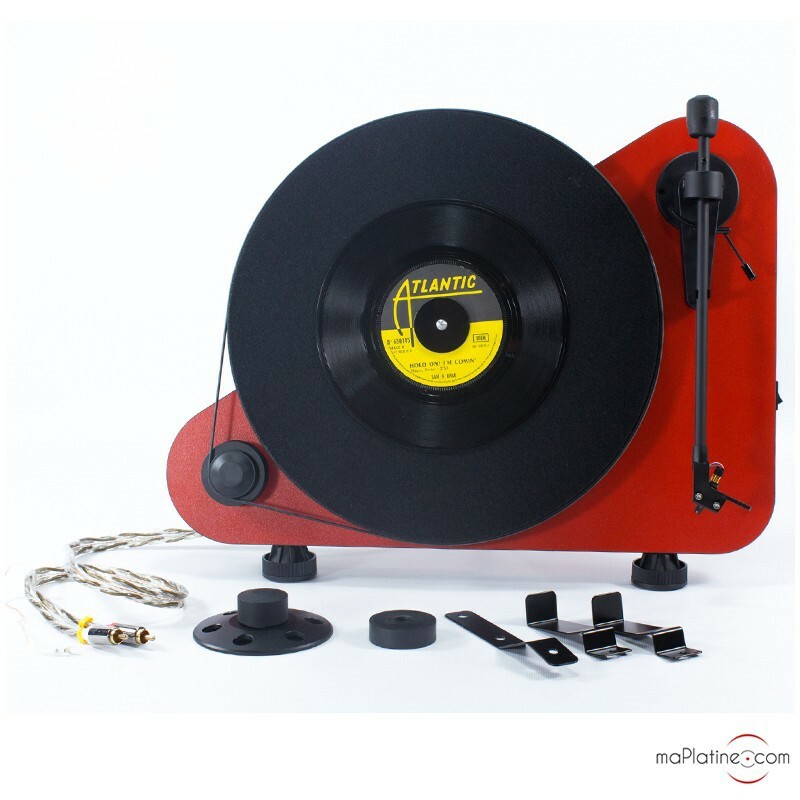 If your dream is to play your records on your living room wall, then this Vertical Turntable will make it come true!